*0* nice pic!!!!!!!!!!! Its on my fav now!!!!!!! Top quality scan. :D Good job, suntiger! *sigh* Thank you SO much! :) I love it. I've been searching for this picture for so long!!! I use to have it until my computer decided to crash... -_- But now I've found it again! :) Thank you!!! 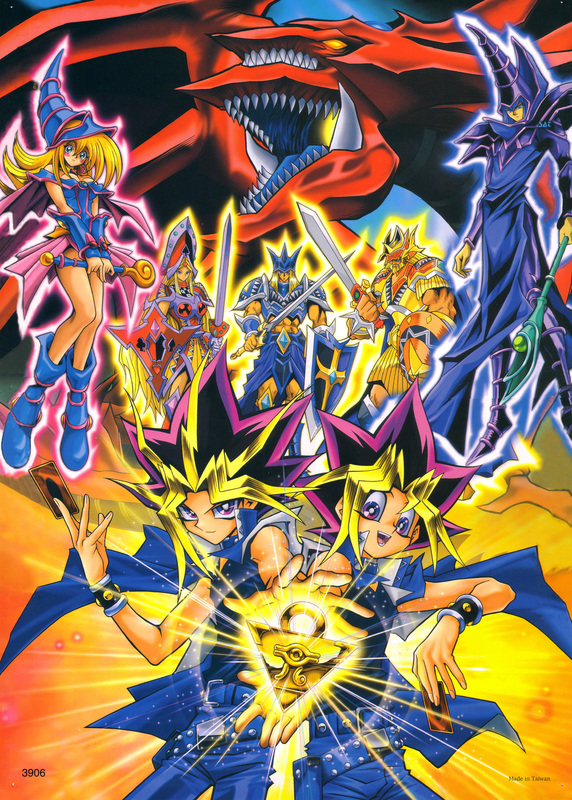 WoooW Yami and Yugi with all of his monsters!! It should have been a wallpaper!!! WOW There are the YuGis I LOVE HIM! Well thanks 4 upload it is really great! a good combination of monsters. good scan. The SECOND he got his hands on that card, he abused the crap out of it.